Mary Lynn Fields was born on April 24, 1947 in Louisville, Kentucky. She was the second child of Charles Leo Fields and Catherine Elizabeth Eiler Fields. 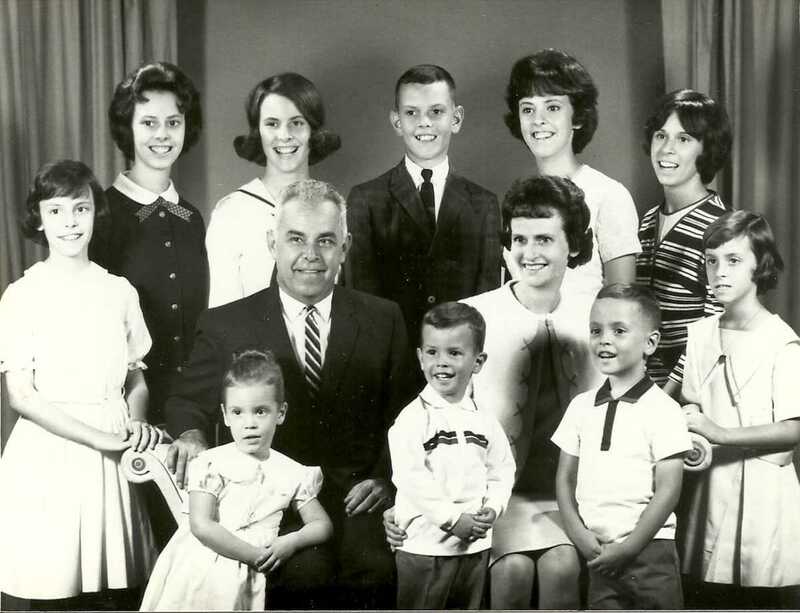 They eventually had ten children, seven daughters ; Patricia Anne, Mary Lynn, Paula Jean, Karen Lee, Jane Ellen, Pamela Sue and Christina Catherine and three sons; Michael Claude, Charles David and Joseph Kilian. 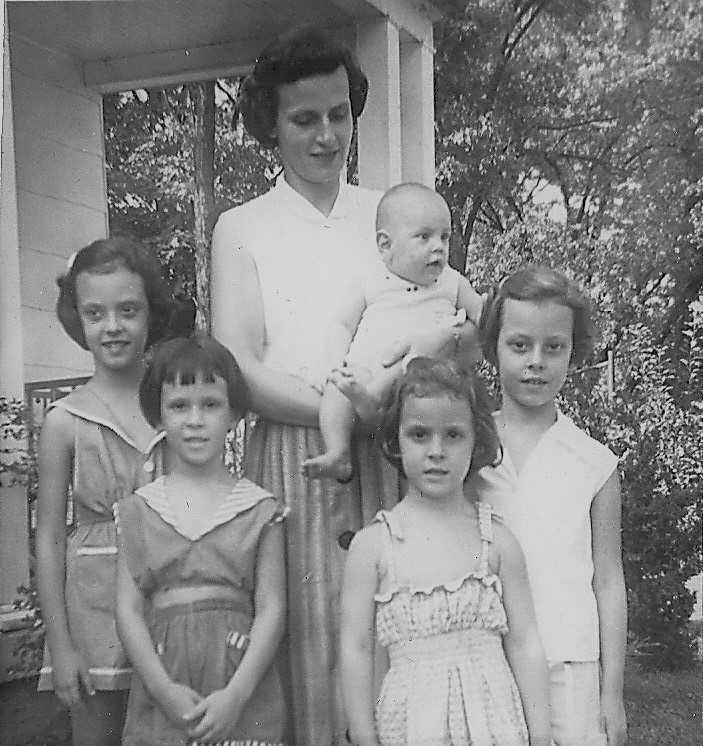 Sister Mary Lynn with her Mother and four of her sisters c.1954. L-R: Patti, Catherine (Mother) holding Janie, and Mary Lynn. Front row L-R: Paula and Karen. Mary Lynn’s father worked for the telephone company as a service supervisor and was transferred several times during his career. Mary Lynn was born in Louisville, but the family moved to Pikeville, KY when she was three years old, where she started elementary school at the age of six. A second move brought the family to Bardstown, KY where they lived for a couple of years before moving to Paintsville, KY for four years. Eastern Kentucky had very few Catholic families at the time, but the children attended Our Lady of the Mountains School where Mary Lynn had her first interactions with Catholic Sisters. From there, the family moved back to Bardstown where Mary Lynn finished her elementary education at St. Joseph School and her high school education at Bethlehem Academy. 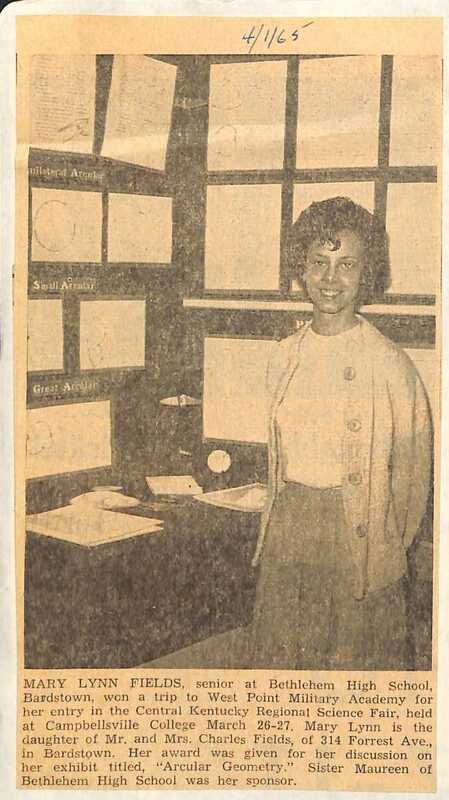 Mary Lynn was always an exceptional student, especially in Math and Science. She won a second place trophy in Physical Science for her project on Articular Triangles and a $25.00 award at the State Fair. She was Vice President of her Senior Class and shared Salutatorian honors at graduation with Julia Hurst, who also entered the SCN Community, but did not remain. 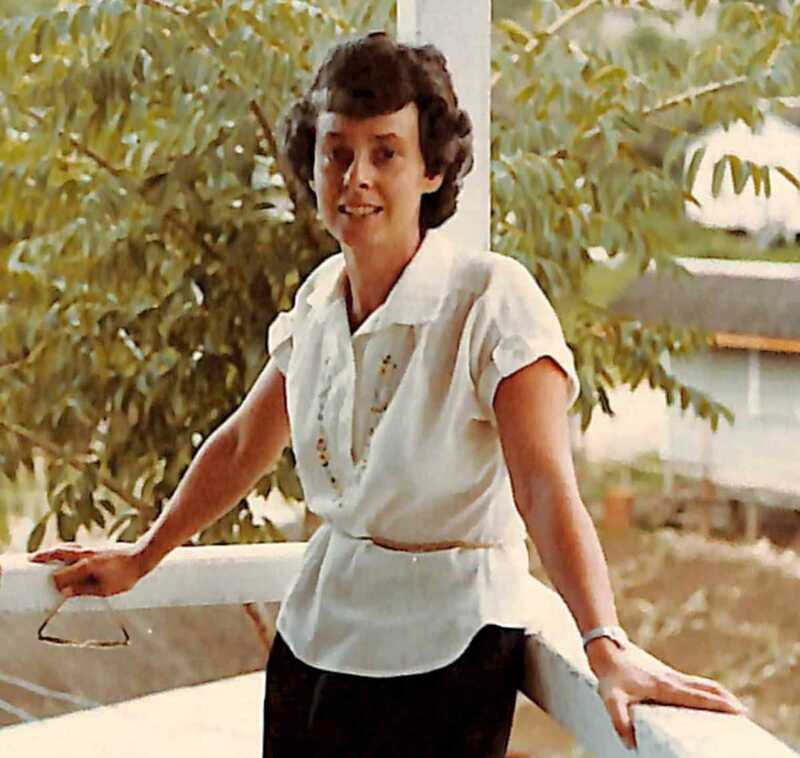 Mary Lynn entered the SCN Novitiate on September 8, 1965, after graduating from high school. Some of her sisters believe that her father was very influential in her decision to become a Sister, because their evening meals always started with his saying grace, added with “and bless our family with a religious vocation”. Her father was a very religious man and he and Mary Lynn were very close until his death in 1970 at the young age of fifty. After making first vows on July 19, 1968, Mary Lynn was sent to assist in the tutorial programs for the poor at Holy Names Parish in Memphis, Tennessee. She returned there for several summers while studying and preparing for her ministry. She had many opportunities to work with the poor in Memphis and in Louisville and to study and inter-act with groups who had experience in foreign mission lands. She felt at home and comfortable in these situations and always wanted to be part of them. She moved back to Louisville, KY in August of 1970 to teach at St. John Vianney School for a year, then went back to Memphis to teach at Little Flower School. 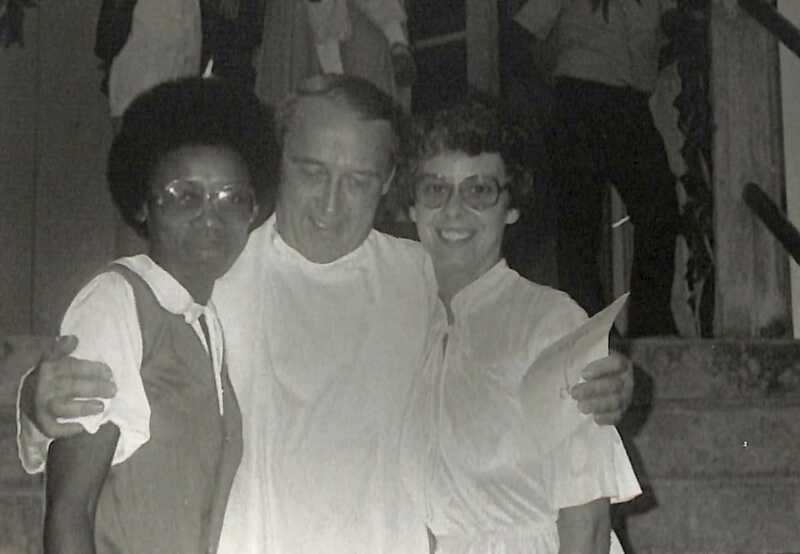 From August, 1971 to August 1975, Mary Lynn ministered in Memphis, mostly at Memphis Catholic High, but the missionary call was very strong in her. She wanted to go to India as a missionary, but, at the time, that country was not accepting long term stays for foreigners. Providentially, a call had come from the bishop of Belize for personnel for his diocese. It seemed a “given” for Mary Lynn to accept the challenge to explore the possibility of opening a mission in that country in Central America. With Susan Gatz, SCN as companion, the two went for that purpose for the entire summer of 1974. This experience solidified and confirmed her heart’s longing. She didn’t know at the time how or what she could do to fulfill her commitment to the people she so quickly learned to love. The one thing she did know was to trust the call, that God would lead her on the right path. In this same time-span, a young lay woman, Barbara Flores, had been asked by her pastor, Mike Oliver, S.J. to attend a Catechetical Institute in St. Louis, Missouri. On her return home to Dangriga, the town was all-abuzz about two strange but wonderful new Sisters who had come there for the summer. They had given summer camps for the children and taught macramé to anyone wishing to learn. More importantly, the people were able to relate to them very easily. For example, these Sisters wore slacks, visited homes, took Communion to the sick and elderly and seemed to understand people’s everyday lives. This intrigued Barbara and she really looked forward to meeting them. That opportunity was realized the following summer when the pastor and leaders from Sacred Heart Parish in Dangriga were invited to Nazareth to form a parish team – the first of a kind for Belize. Meeting Sisters Liz Wendeln, Mary Lynn and other Sisters at the Motherhouse and at Russell Hall were special moment for Barbara. The occasion sparked the beginnings of her thinking that maybe this could be the community she might want to join. She kept imagining the exhilaration and joy of having these new Sisters involved in the lives of her people – for they too were excited and eager to welcome them! Sister Barbara Flores, Father Oliver, and Sister Mary Lynn Fields share a happy moment at a commissioning Mass for lay ministers. Sister Mary Lynn returned to Dangriga Town in the Stann Creek District of Belize with the newly formed Parish Team. This included Barbara, and a Sister of Mercy, Marian Joseph Beard, RSM, to establish the first SCN mission. (The next year, Marian Joseph went to study nursing – she had been a teacher at Mercy High School in Belize City – and was replaced in Dangriga by Catherine (Kitty) Wilson, SCN.) Barbara remained a close companion and faithful co-worker with the Sisters, and in 1978 joined them as a candidate, which meant living and ministering with them to everyone’s joy. Until January 1982, Mary Lynn and her companion remained in Sacred Heart Parish in Dangriga which included the many surrounding villages. They developed the Lay Ministry Program not only in the town, but also in all the villages, even extending their outreach to the other districts. From the very beginning, the Sisters made friends with the people, listening to them, learning their needs, stretching their minds and winning their trust. The people dared ask questions they had never asked before. These were mostly related to their suppressed culture and traditions, the most obvious being music and food. Drums and guitars were forbidden in church, and the required organ music was foreign to their ears. “What’s so sacred about the organ?”, Mary Lynn boldly asked. “Bring in your drums and guitars!” But what if they kick us out – was their fear. “They will first have to kick me out!” was Mary Lynn’s calm, assured reply. So also with their food; serve it with pride to anyone! What greater affirmation of the people could there be! They saw this affirmation in the comfortable ways Mary Lynn was with them, spending weeks in their thatched homes in the villages, graciously accepting them as they were, eating their food thankfully, and encouraging them to be leaders in the church! How could the people not respond wholeheartedly to such affirming trust in them! None of this openness on Mary Lynn’s part was lost on Barbara Flores. Traveling with her from village to village, opened Barbara’s “city heart and world” in a close-up way of experiencing very simple living and the beauty of Belize’s cultural diversity especially in the rural south. Spending nights in a thatched roof school with a kerosene lantern for light, sleeping in a hammock, washing her clothes in the creek and no indoor plumbing were all new stretching experiences for her. She was in wonder at Mary Lynn’s relaxed way of accepting life as it was. Barbara remembered the first commissioning of the Lay Ministers by Bishop Robert L. Hodapp, S.J. in January of 1978. They were thirty-nine men and women from the town and villages ready to serve the Church. Yet they had never thought they would be capable of leading a prayer-service, sharing scripture reflections, or conducting a funeral. For them, their families, friends and the Church, a new day had begun in answer to their Baptismal call! Mary Lynn returned to Massachusetts from a very enriching time in India. 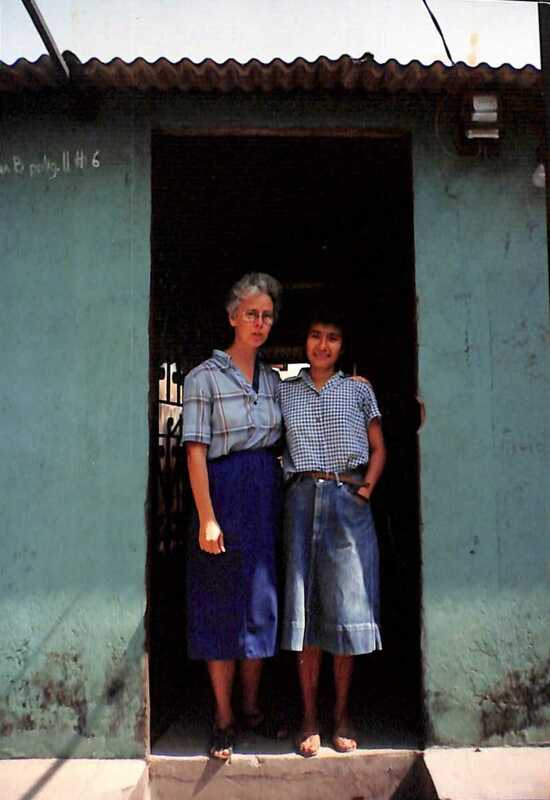 Her journey in ministry took her next to the Provincial House in Quincy until October, 1987 when she became Director of the emerging SCN Associate Program and came back to Nazareth and lived at the SCN Center for two years. Mary Lynn’s eagerness to work for social justice lead her to study Liberation Theology for a semester in 1990 at the University of Central America in El Salvador. Her classes were in the same room where fifteen months earlier, six Jesuits and their housekeeper and daughter were killed by the El Salvadorian Army in an attempt to repress such studies and leadership. Even then, helicopters would hover over the building to disrupt the studies, but the brave students and professors persisted. From there she went to study Spanish for three months at the Instituto de Idioma in Cochabamba, Bolivia, then to Lima, Peru for six more weeks. Mary Lynn joined the Jesuit Relief Service in January, 1991 in San Salvador, El Salvador and was on their Mobile Pastoral Team helping to resettle the returning refugees from the war in their country. On November 6, 1991 was Mary Lynn’s closest brush with the war. It began with distant gunfire which drew closer until it was right outside her bedroom window. She and her companion Sister of Mercy, Nellie Del Cid, hunkered down in a central room in their home and waited for the fighting to move down the street. The next morning dawned as a normal day, with people going about their usual chores, the way they survived in a war. Somehow life goes on for those who survive. For three years, Mary Lynn and Nellie ministered in this climate of war, fear and resettlement of those returning home hoping for a future there. By the Christmas break of 1993, Mary Lynn returned to visit her friends in Belize as she often did. This time she had good news to tell. She saw the needs in Belize more pressing than those in El Salvador at that time, and was planning to return to minister in the Stann Creek District after Easter. Everyone was over-joyed and begged her to stay since she was already in Belize. She, however, knew she had to go back and put closure to her ministry there. That work was short lived. She was driving Nellie Del and her superior from Maryland who had come to visit, back to the airport for her flight home, when her truck was wedged off the two-lane highway. Mary Lynn lost control and the truck skidded and overturned. She was rushed to the hospital in San Salvador, but she died during surgery on February 12, 1993. The others escaped with minor injuries and scrapes, which seemed a miracle. The SCNs living in Belize flew to El Salvador the next day. They and a few friends accompanied her body back to Nazareth. Her funeral services were held at St. Joseph Proto-Cathedral in Bardstown where she grew up and was interred in the cemetery at Nazareth. Wakes and Memorial Masses were also held in El Salvador with great outpourings of love and gratitude for her life, courage and ministry. An amazing and wonderful family! Our backyards were connected in Bardstown, Ky behind the cemetery. Katie and Charlie were the best neighbors, and loving parents to their children. I had the older girls as babysitters plus Katie would fill in also! The family was a great inspiration to the whole neighborhood, as to how a big family got along and lived together in love and harmony! We all were so proud of Mary Lynn and her decision to become a Nun and do for others. This was a great article about Mary and her family! I have known the Fields family all my life, what a wonderful family they are! Thanks to who ever posted this article, it was absolutely amazing. What a wonderful women of God. I will always remember Sister Mary Lynn, my teacher, with gratitude and affection. She was a wonderful woman and I am glad to have known her. I met Sister Mary Lynn when she came to Daniel and Mary Nugent’s home in Dedham, Ma. with my cousin, Sister Shirley Nugent. I remember admiring Lynn’s dedication and love as she showed slides of her beloved Belize. We spent some wonderful family time with Lynn and she has always remained in the hearts of the Nugent clan.